We’re Willis Towers Watson, a leading global advisory, broking and solutions company. Our 40,000 colleagues work together to influence every aspect of our clients’ businesses and push our industry forward in over 140 countries. You can too. We have opportunities around the world for smart, talented people at the start of their careers. Whether you’ve recently graduated, are currently a student, or would like to find a rewarding alternative to university, we have a dedicated program for you. Willis Towers Watson is a place of possibilities. A place where you are encouraged to challenge convention and achieve things for our clients that have never been achieved before. Where change is constant and no two days are the same. Where there are endless opportunities for you to venture outside your comfort zone, and to learn, develop and grow. Use your imagination. Create your own path. Push our business and the industry forward. 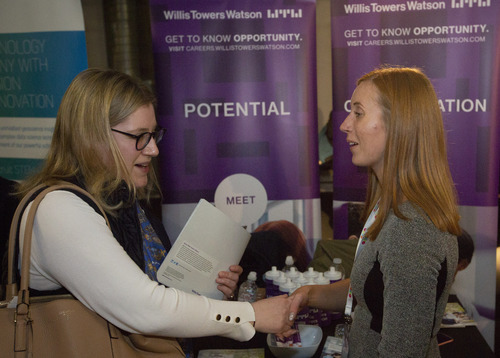 A career at Willis Towers Watson is an opportunity to explore the unknown.